CD Cover for Area Code 533’s new album Underpromise; Overdeliver. 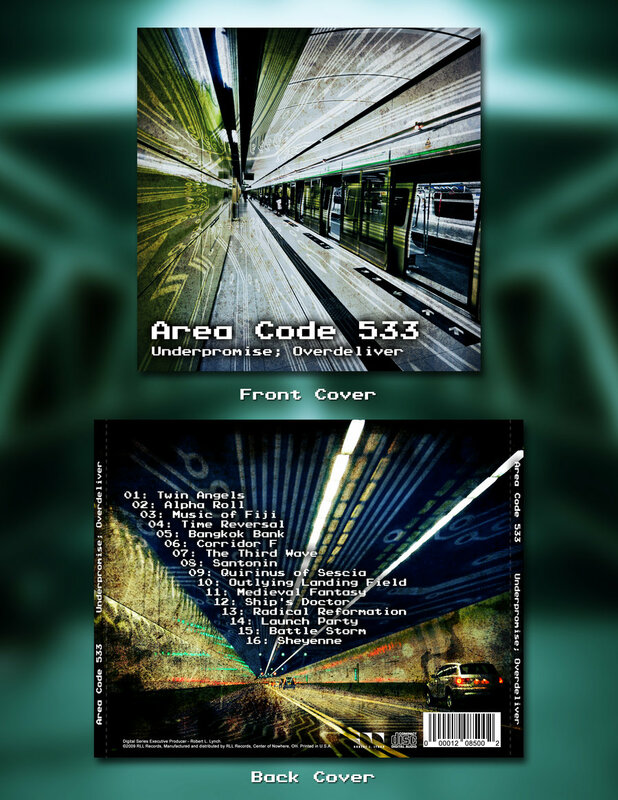 Area Code 533’s last album was praised for it’s fusion of synth-rock, grunge, and techno. Underpromise; Overdeliver brings it even more, this time with a stronger emphasis on their satirical hip-hop inspired lyrics. Same Facebook meme I stole on my last piece. It was fun enough I did it again. This time I did tweak the pics more than a little, with some bits for texture. Title quote comes from Tom Peters, in The Chicago Tribune.